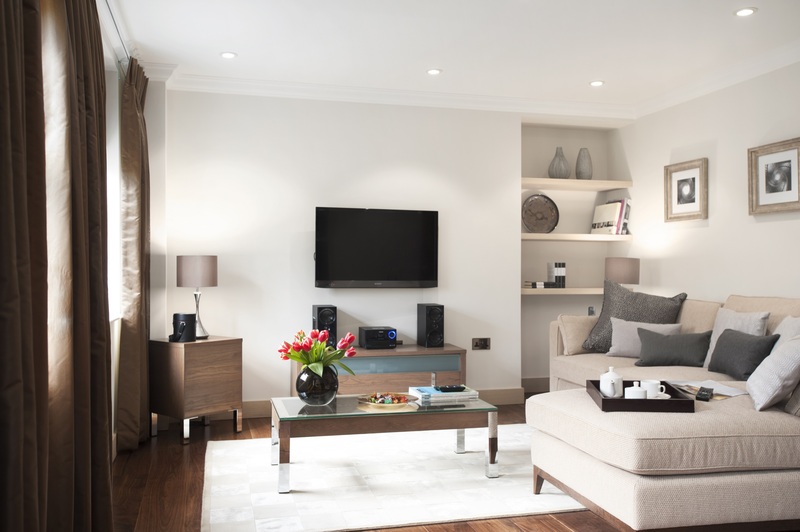 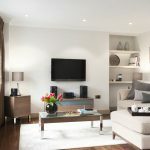 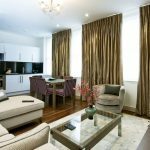 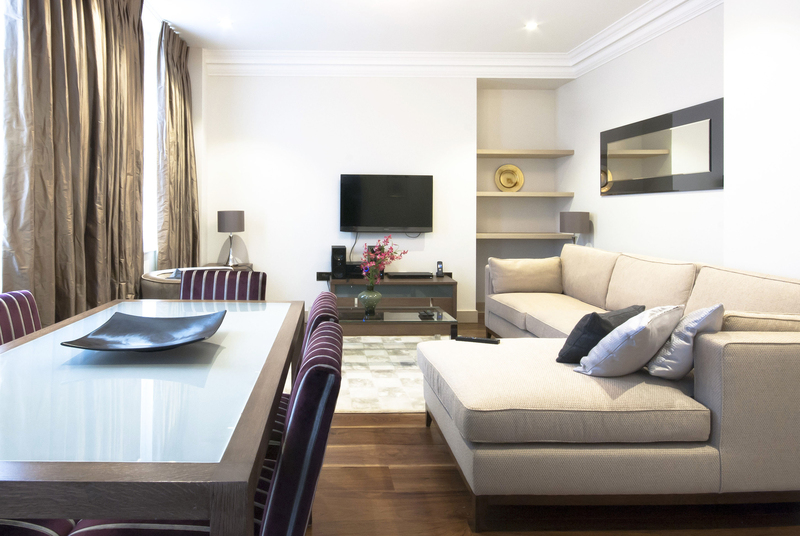 Two Bed­room Deluxe apart­ments fea­ture a spa­cious Living/Dining area and include a flat screen TV/DVD (with Free­view & Sky chan­nels) and pre­mium audio sys­tem. 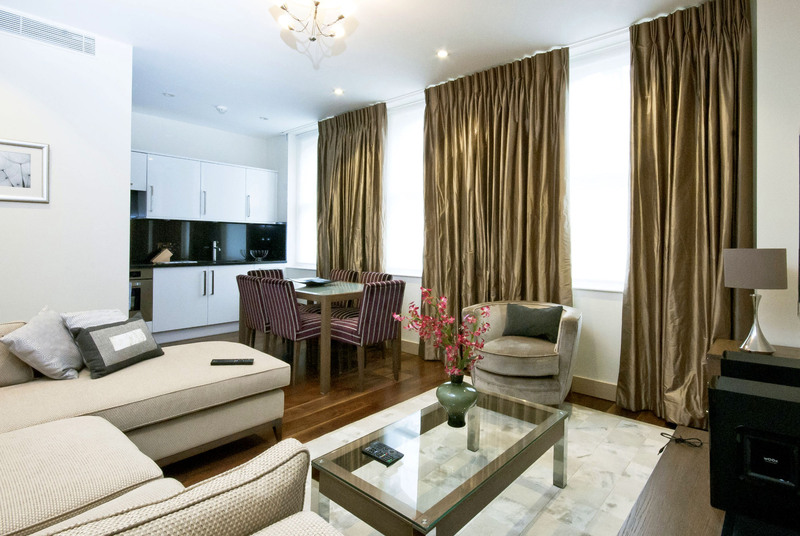 The fully-fitted open plan Kitchen with mod­ern appli­ances includ­ing a dish­washer, wash­ing machine and dryer. 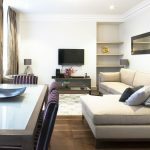 Each Bed­room is fit­ted with a King-size bed (which can be split into twin beds, if pre­ferred), flat-screen TV and built-in cup­boards for stor­age. 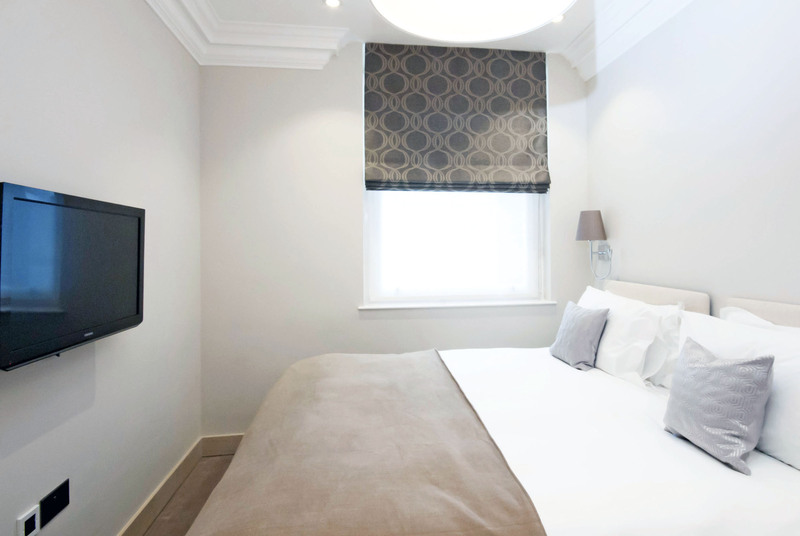 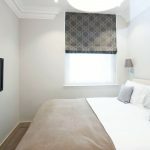 The Mas­ter Bed­room has en-suite facil­i­ties with walk-in shower and the sec­ond Bath­room is fit­ted with Jacuzzi bath and power shower.Please note:access to the apart­ment is via the lift and a short flight of stairs.